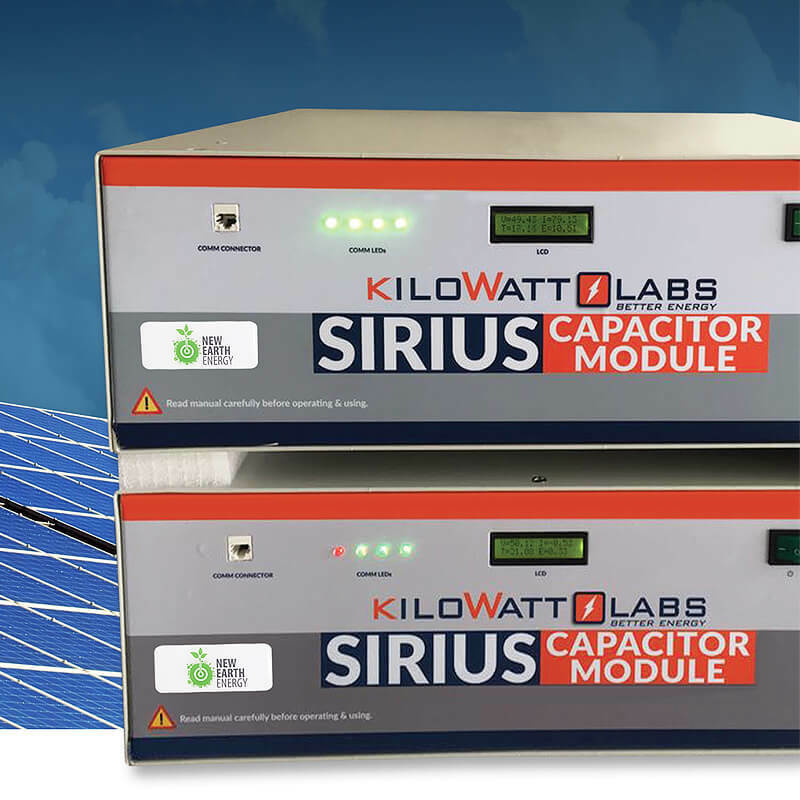 The Sirius Super Capacitor Module can theoretically be charged in less than 32 seconds without affecting cycle life. Various models are available with different charge and discharge ratings, ranging from 1C to 135C. The popular model in the Solar PV and Home use market is the 1.35C Model, which means the unit can be fully Charged or Discharge 1.35 times in an hour. This is faster that any normal application in the Solar PV and home use market will require. You can charge and discharge the 1.35C model in 44 minutes, which makes this well suited even for sites where you energy storage is recharge by generator of the grid from time to time. Faster charging models delivers significant advantages in a wide range of deployments such as in electric vehicles or utility grade frequency regulation. An infrastructure of fast-charging stations eliminates the need for large battery banks with extended range. Fast-charging of the Sirius provides utilities with real time response capability to frequency regulation. Sirius’ proprietary algorithm-based balancing, charging and control circuit actively balances and stabilizes the system, delivers deep cycle and long duration discharge and specific energy of 80 Wh/kg. Therefore, in addition to standard fast charge / discharge usage, the Sirius storage system can be deployed at industry voltage, in applications requiring deep cycle discharge including electric vehicles. With a Depth-of-Discharge (DOD) of 100% and round-trip efficiency of 99.1%, the Sirius battery’s delivered and rated capacity are almost the same, allowing for a significant reduction in the number of batteries required when compared to systems utilizing chemical batteries, thereby lowering capital investment. In other words, you can use the full rated kW capacity without ever damaging the unit. The SIRIUS can operate between -30 deg Celsius and +85 deg Celsius. The foremost reasons why chemical batteries do not reach there stated usage cycles are depth of discharge and temperature. SIRIUS will never disappoint you on either of these aspects. You can discharge to 0% and you can operate at Extreme temperature. A Patented, charge retention circuit, controls energy flows and slows down the typical capacitor discharge to a level where self discharge is no longer of practical concern.